HC-49S (short) QRP Crystals works with Pixies, Rockmites, Frogs, HW-7, HW-16 and many others. 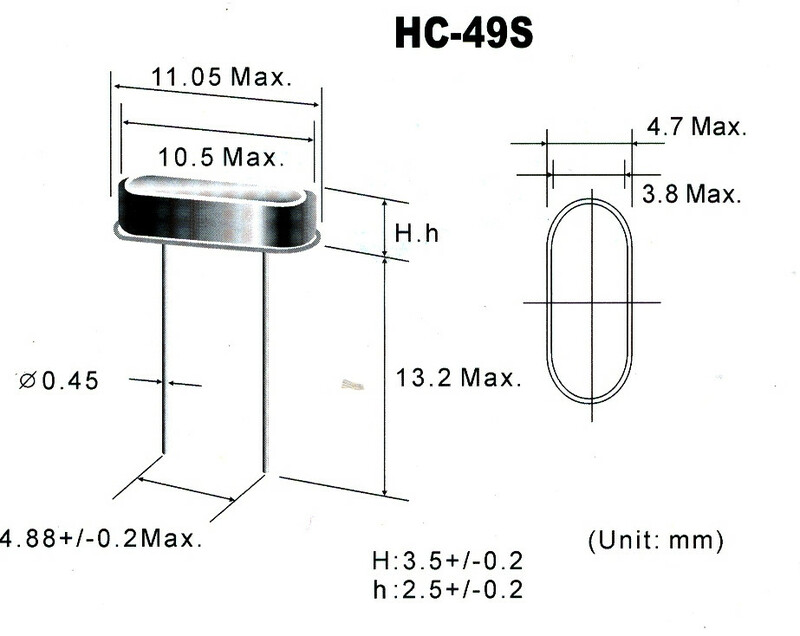 The HC-49s small case makes it easy to put into older FT-243 type holders without extra cutting and drilling. Specifications are toward the bottom of this page. Other information about these crystals can be found on the Ham Radio Crystals page.